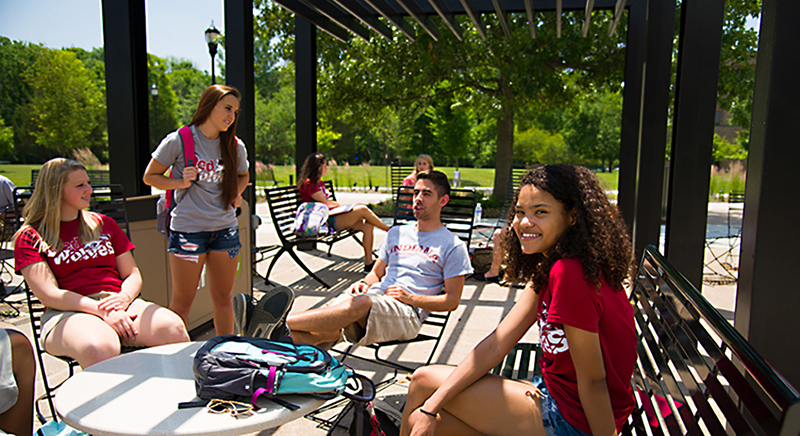 Indiana University East’s renovated central space, The Quadrangle, serves as the heart of campus connecting Whitewater, Tom Raper, Hayes and Springwood Halls. The newly renovated quad area is a gathering place for students and faculty to meet with friends and colleagues. It offers a quiet area to study or a place to just relax. Landstory’s design incorporates a custom steel shade structure, site furnishings, decorative concrete paving, public art pedestals, lawn steps, accessible pedestrian access and low maintenance native plantings. New shade trees and accent lighting add character and a sense of scale. 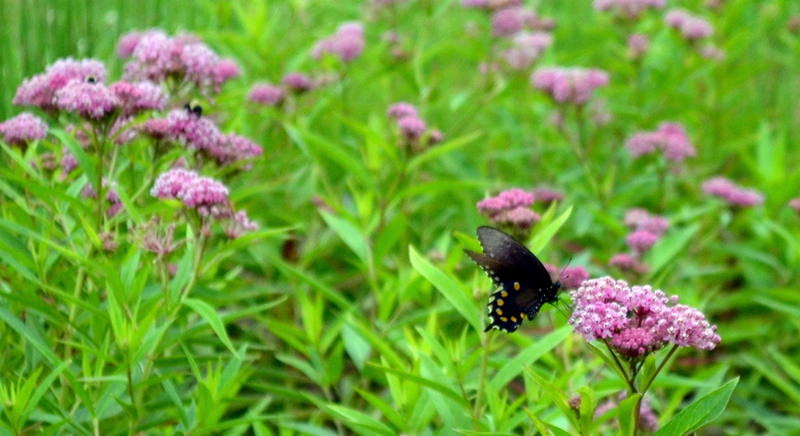 Rain gardens were incorporated to mitigate surface storm drainage. Written by laadmin on July 8, 2017 . 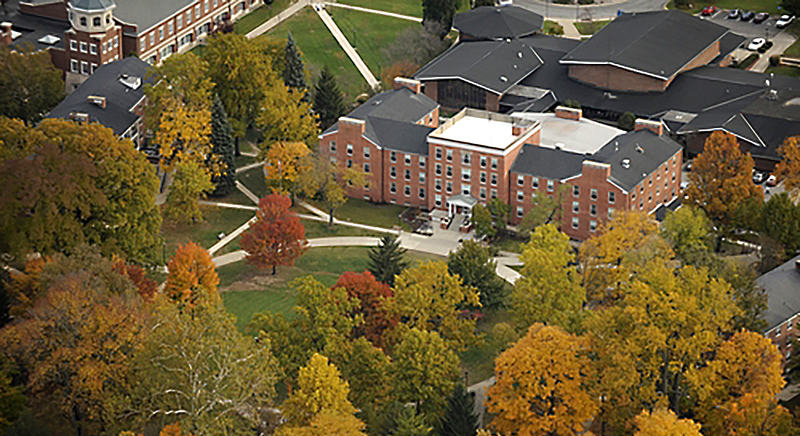 Development of a new campus entry and way-finding system was the focus of this project, based upon Earlham’s principles of Respect for Persons, Integrity, Peace and Justice, Simplicity and Community and Sustainability. Native grass plantings in natural sweeping forms are intermixed with walls and pillars made of raw and refined veneer of Indiana limestone and unit masonry. 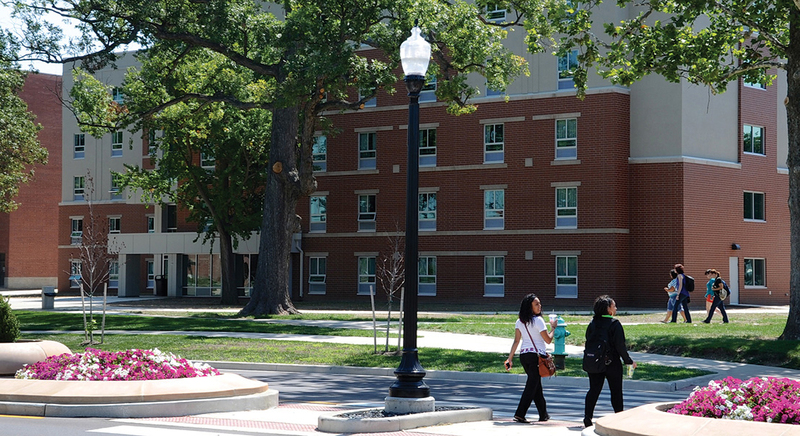 Development of a new campus entry and way-finding system was the focus of this project, based upon Earlham’s principles of Respect for Persons, Integrity, Peace and Justice, Simplicity and Community and Sustainability. Native grass plantings in natural sweeping forms are intermixed with walls and pillars made of raw and refined veneer of Indiana limestone and unit masonry. The importance of “place-making” to clearly direct is reinforced and highlights the campus entry sequence.